If you've been following the TDS podcasts lately, you know that I've been talking about Blurb books and our newest site feature, Blurb Book Page of the Month. We opened entries in August, and I'm happy to announce our first featured artist, David Bream. 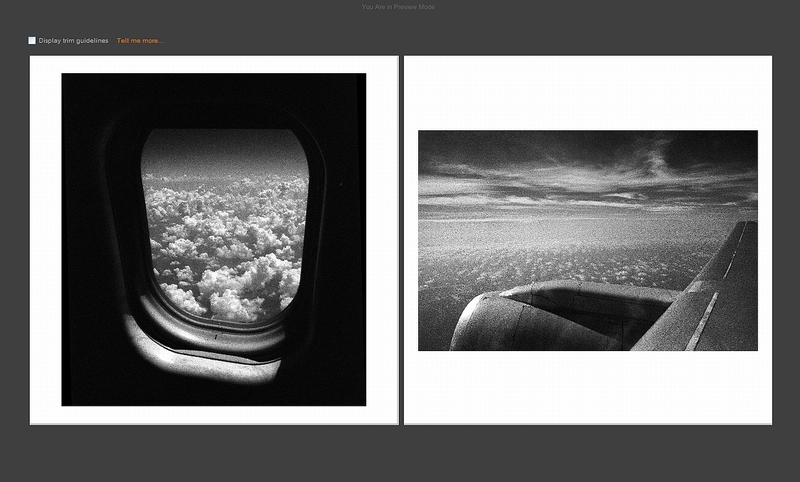 You can read all about his project in the article, August 2010 Featured Book Page - David Bream, "Window Seat". "I listened to your podcast regarding making a book, dismissed the idea, rethought it, and decided to give it a try. I downloaded the software, and spent the next 3 hours making my first small sampler booklet, which I received about a week ago. I could not believe the high quality of both the color and black-and-white printing, and the speed with which the book was printed and delivered to me," wrote David. If you're like David, and want to experiment with this medium, we have just the opportunity for you. This is a monthly feature, and we're already receiving submissions for Sept. 2010. If you want to learn how to share your work, visit Win by Entering "Blurb Book Page of the Month" for all the details. Hope to see your work in our inbox soon!